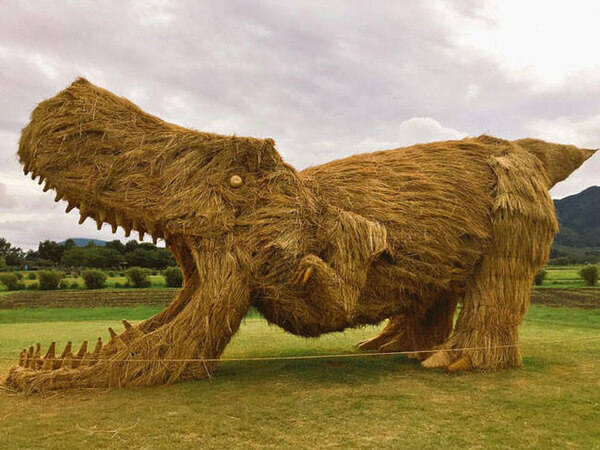 After every harvest season, there are plenty of leftovers at the fields in a form of straw. 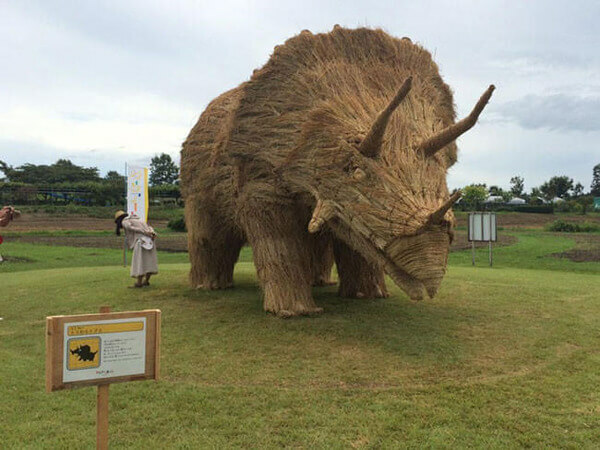 The question is – What to do with so much straw? 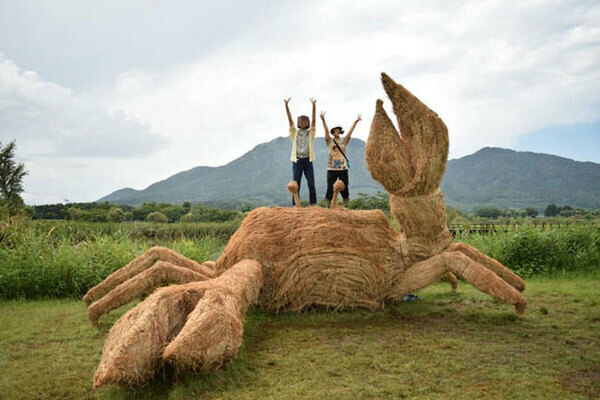 Japanese artists saw in this question a chance to show their creativity and answered it in an awesome way. 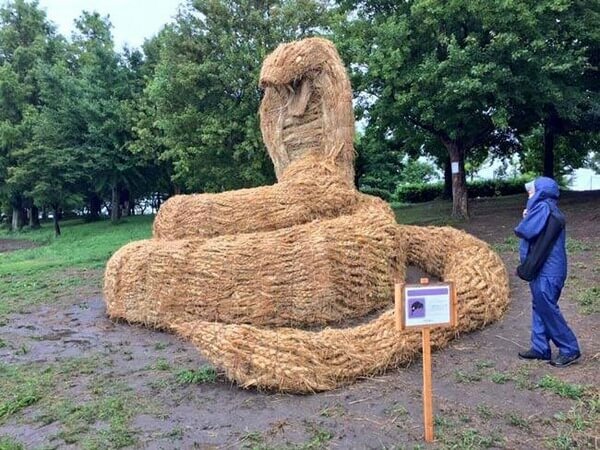 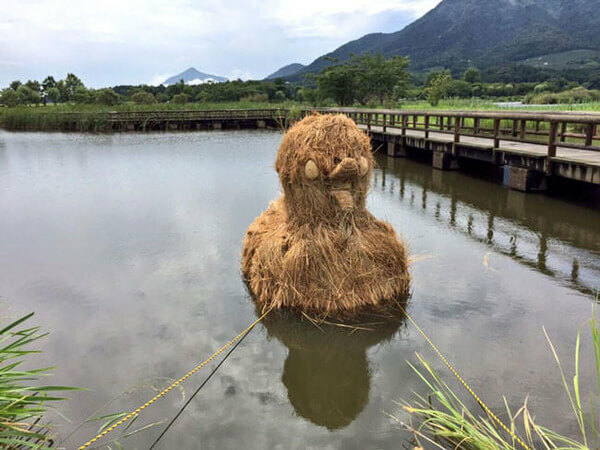 So, every end of August, when the harvest has been done, and at Japanese fields sculptures made of straw, in various forms and shapes, start to appear. 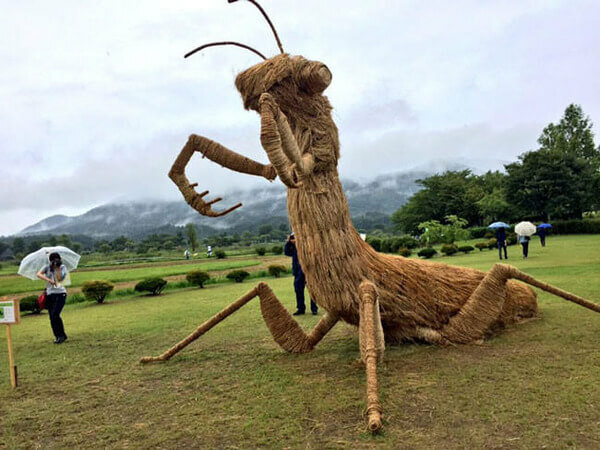 This has become a tradition in Japan’s Niigata Prefecture, where the annual “Wara Art Festival” is been held on every August 31st. 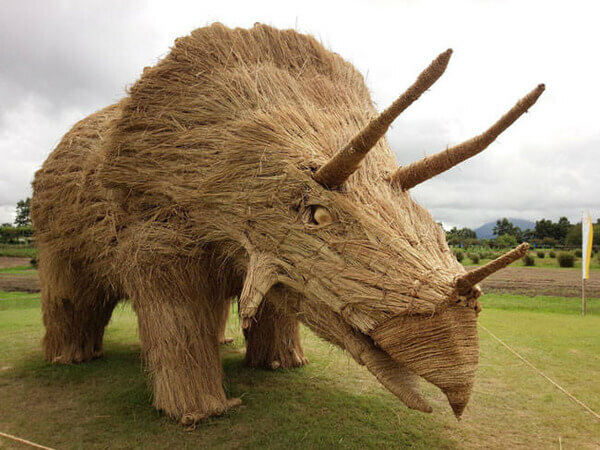 Artists use wooden frames and lots of straw to create giant sculptures usually in a form of animals. 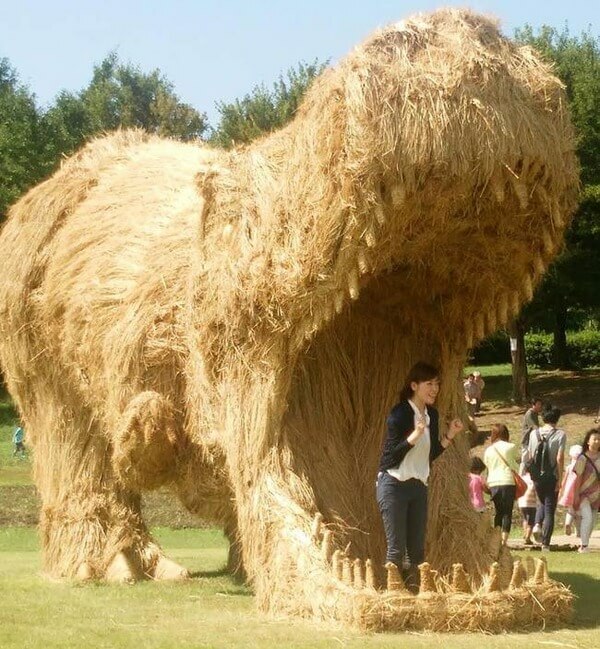 Dinosaurs are often to be seen, and many are hoping a Godzilla will soon appear at these Japanese fields. 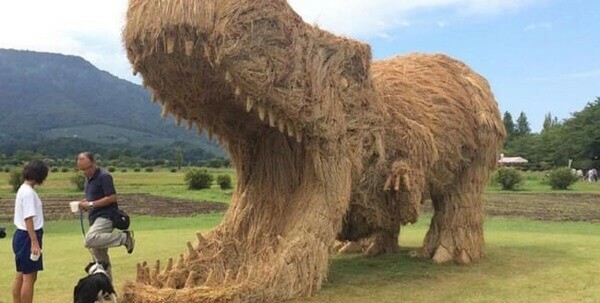 This year, artist Amy Goda created a highly-realistic Tyrannosaurus Rex. 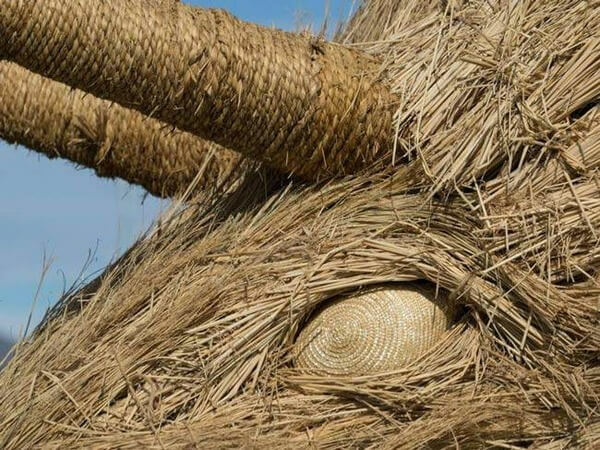 No less successful were “strawish” interpretations of a giant crab, duck, cobra… Check this great works at the gallery and look for more at Wara Art Festival.